We give your organization the ability to accept donations online. Whether it’s one-time or recurring options, credit card or a bank transfer – we’ll take care of your donors, and we’ll take care of you. At SolutionsPal, we understand the unique challenges associated with running non-profit and faith based entities. Fund raising and giving are a constant necessity. Often times, you will get your web site from one company and find another company to integrate their online giving platform into your site. That is not the case with us. We have online donation platforms that can be used by non-profits, churches, and other faith based organization. We will work with you to construct an giving solution that best meets your needs and will help you achieve your organizational goals. Read more. ChurchBasket is the answer to faith based donation solutions. We can assist with the tithing needs of your church, no matter its size. Since ChurchBasket is a division of GIVNG, we utilize the same platform and secure online environment already trusted by many non-profit corporations nationwide. However, we specifically tailor our services to meet the tithing demands of your particular church. Read more. All politics might be local, but fundraising has turned national with online fundraising. 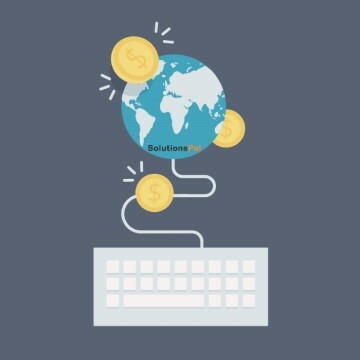 With our tools, you can collect contributions online using major credit cards, PayPal, and other payment methods. Your online presence won’t be complete unless your supporters can easily and quickly contribute to your campaign with a few simple clicks. Put our tools to use for you. Use the power of the Internet and our online contribution system to raise the funds you need to win on election day. Read more.